CheapGas | Find the Stations near you with Cheap Gas! If you're searching for CheapGas, then I can help. I've compiled a listing of several tools/apps offering local gas prices so that you can compare current gas prices instantly, either from home, or from your vehicle, and make an informed decision in order to get the cheapest gas prices. As I said, most of these are also apps that can be downloaded onto your cell phone or other mobile device to use while you're on the road. I have also provided some free Gas Cost Calculators that will assist you if you would ever like to estimate the cost of fuel for a medium to long road trip. These tools will provide you with the Cheapest Gas Prices at several Gas Stations in your area, so that you can determine who is offering the best price. They will provide you with gas prices in Unleaded, Plus, Premium and Diesel. Get their free app on your SmartPhone to locate the best gas prices in your area. Simply enter your Zip Code and it will display a list of prices for Gas Stations in your area and how long ago the prices were updated. Gas Cost Calculators help you to estimate the fuel cost of your trip before going. Simply plug in the required information, such as the Starting City; Destination City; the Make, Model and Year of your Vehicle; and the calculator will provide Estimated Miles, Gallons Used and Fuel Cost for a one-way and/or round-trip. Pretty cool! Slow down, and don't be one of those people that race to every red light, but still wind up sitting there like everyone else and looking foolish. Those rapid accelerations eat up your gas. 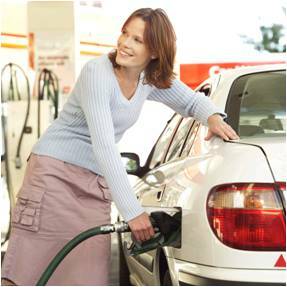 If you have one, or can qualify for one, use a Cash Back Credit Card to purchase your fuel. 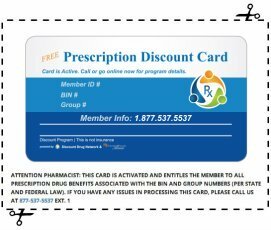 These cards will either give you a set percentage back on every purchase on the card, or on specific categories of purchases, such as fuel, groceries, travel. As with any credit card, you will wipe out any savings by having to pay interest, so pay off the balance each month (if possible). Have your vehicle's air filter regularly replaced. You can improve your gas mileage with a clean filter. Don't ride the brakes. Keeping/resting your foot on the pedal increases the amount of gas you use. Make sure your tires are aligned. Several places will check your alignment at no cost. Check the "Free Car Repairs" section of the Auto Savings Center below. Lighten your load. A weighted down vehicle consumes more gas. Keeping your car Tuned Up can improve your gas mileage.